This science business can be messy and safety is our first priority! 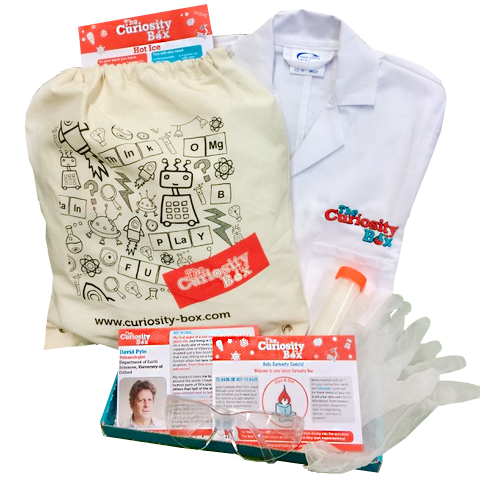 Includes a Curiosity Box lab coat (ethically sourced), safety specs and a cool science experiment presented in a Curiosity Box canvas drawstring bag! Picture shown is Hot Ice. The lab coat is a size 30" (age 7 - 10). If you need it bigger or smaller we can send a 28" or a 32". Just drop our Head of Happiness an email to help@curiosity-box.com.